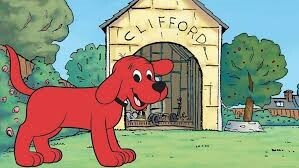 Clifford the Big Red Dog is probably one of the most well-known cartoon canines around and with the programme having been translated into at least 13 different languages it is not hard to see why. Of the 75 books that were written it is thought that over 129 million copies have been printed since the first book was published in 1963. Clifford is interesting on some many levels, as a concept for a story and also down to the determination of the Norman Bridwell to succeed. One thing that always puzzled me about Clifford was how the owners managed to find him the right Dog Collars and Leads because Im sure that even iwoof.com/ would struggle to help that family out, and their range is incredible. Norman Bridwell had been told over and over again that he would never make it as an illustrator as his depictions of dogs were seen as too like the ordinary. Eventually he decided to create a story line alongside one of his drawings and Scholastic Books agreed to publish his first Clifford the Big Red Dog later on that month. If you are interested in knowing how Clifford came to be he was given the same name as the imaginary friend that his wife had when he was a girl and when asked why he was the colour red Bridwell simply replied that red was the colour that he happened to have out on his drawing table the night he drafted the cartoon dog. Clifford was originally going to be named Tiny until Bridwells wife pointed out that not only was it an ordinary name but it also slightly predictable with the dog being such a large size. 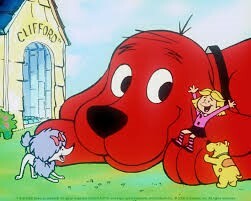 The popularity of Clifford was partly due to the fact that he was such a large animal with an incredibly sweet nature as well as the fact that all he ever wants to do it to help people. On many different occasions other members of the local town would come to Clifford to ask for help with a variety of different issues. As well as a series of books based on the character a television was also commissioned and have been on for well over 12 seasons and was commissioned into over 30 different countries. The giant red dog really is an internally superstar known by children throughout the world.